The Progress-Focused Approach: What habit do you want to build and how can you succeed? What habit do you want to build and how can you succeed? 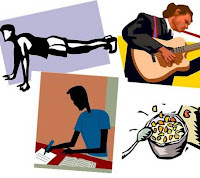 A topic that keeps interesting me is how we can form healthy and productive habits. Doing healthy and productive things can sometimes require lots of discipline and self-control. But once these behaviors have become habits, once they have become automated, it is not hard anymore to perform them. They have become part of your daily or weekly routine. Quite a bit is known how we can form desirable habits. Habits are behaviors that have become automatic, triggered by a cue in the environment rather than by conscious will. We are constantly forming habits by repeatedly doing things in certain circumstances. Much of this habit forming happens without conscious choice and planning. But consciously planned habit forming can be done and we know how. Research by Phillippa Lally and her colleagues shows that forming habits 1) on average takes at least 66 days, 2) takes substantially longer with some people, 3) takes longer when the behavior is complex, 4) allows for an occasional omission of doing the behavior when building up the habit. Personally, I would really like to build some new consciously chosen good habits but I find building them rather hard. Often I have started some good new behavior but then stopped quite soon, after one or two weeks, long before the behavior had become automated, long before 66 days. So, actually, I think there is much unrealized potential here :). I have given some extra thought to this question: what can help to persist during the build-up phase? Here is my attempt at some useful guidelines. I suggest, if you want to try them, to specifically write down your anwers to the following three questions. What habit do you want to build? What: What new habit do you want to form? Carefully choose one new good habit to form: what new healthy and productive habit would like to form? Write down why you want to build this habit. How will it be beneficial to you once you will have formed this new habit? How: What does the behavior look like specifically? Please describe the habit you want to form in specific positive behavioral terms. What do you want to do? How do you want to do it? How often? When: When precisely do you want to do it? In what specific situation do you want to do the behavior? Describe very specifically in what circumstance, at what time, at what place you want to do the behavior. Identify an earlier success. How have you been able to build a healthy and productive habit before? When have you been able to persist at something good and desirable which was at first hard but later, after much repetition became more automated and became part of your daily or weekly routine. How did you manage to persist during the build-up phase? What helped to persist when things were hard and you felt the temptation to stop? How can this help you succeed building the new habit? My intuition tells me that the 66 days period needs to be broken into multiple stages. Each stage should have a name and a specific reward for completion. Also, awareness, awareness, awareness! Monitoring ruthlessly everything (road traveled + road remaining) you do might improve your chances. Do you have by chance some examples on the difficulty of some habit forming? Like, how long is the mean for taking up exercising, what's the deviation. What about meditation? Reading? Daily brainstorming? Eating a healthy breakfast? Hi Peter, interesting. I have no specific examples. Perhaps one of the other readers can help. Reading your comment I have a few thoughts. I think it is wise not to think too much in terms of 66 days. I think in many cases it may take even longer, or a lot longer. The more complex the habit (for instance when it consist of multiple parts) the longer it may take. I think writing or blogging has become something of a habit for me. I have been doing it for years now. But I would still hesitate to think of it in terms of it being fully automated. The complexity of it is the reason, I think it takes much longer than 66 days. It is such a composed behavior with many layers. Monitoring is good idea, I think. The most basic and perhaps most useful thing is to just keep count. Thanks for your comment. Indeed I wrote something about that topic (here is a TED video about it: http://bit.ly/eQ8ces). But as Rodney Daut explained in the comment section to the post, it depends on the type of goal you have: "If you are going to start a new exercise plan in order to "be a healthy person" then telling the world this may hinder your motivation. If you are going to start a new exercise program because you love exercise then telling the world will strengthen your commitment." So, there appears to be an important difference between I-want-to-be goals and I-want-to-do goals in this respect.